Bugatti is planning another assault on the world speed record for road cars with its new £2 million Chiron, company boss Wolfgang Dürheimer has revealed. The French manufacturer currently holds the world record of 268mph (431km/h) with the Veyron 16.4 Super Sport, a standard set at Volkswagen’s Ehra-Lessien test facility in 2010 by former F1 driver Pierre-Henri Raphanel. 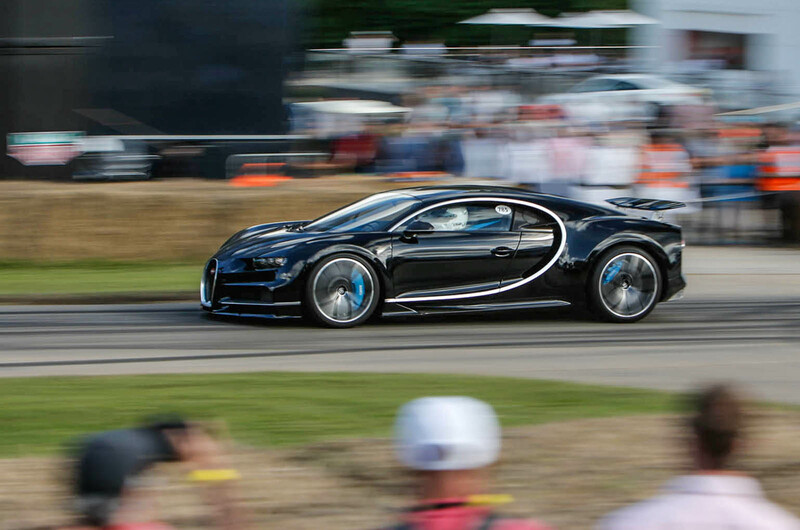 The new Chiron, which made its UK dynamic debut at the Goodwood Festival of Speed last weekend, has dramatically increased performance compared with its predecessor. Whereas the Veyron Super Sport has 1183bhp and 1106lb ft, the Chiron makes 1479bhp and 1179lb ft. The stated top speed for the Chiron is 261mph. Although this leaves it short of the record speed, the Veyron Super Sport’s official top speed is 257mph, but Bugatti removed its speed limiter to set the record in 2010. The Guinness World Records organisation concluded that this tweak did not contravene the spirit of the ‘production car’ definition and ratified the record, so it’s likely Bugatti would do the same for its attempt with the Chiron, which is believed to be capable of 288mph. Asked whether even more power could be unlocked from the engine, he said: “I would imagine so.” Dürheimer drove the Chiron at 236mph on the Mulsanne Straight at Le Mans during a recent demonstration. The record attempt will most likely take place at the 13-mile Ehra-Lessien facility in 2018. Bugatti has taken more than 200 deposits for the Chiron and will focus on ramping up production and fulfilling those orders during next year.